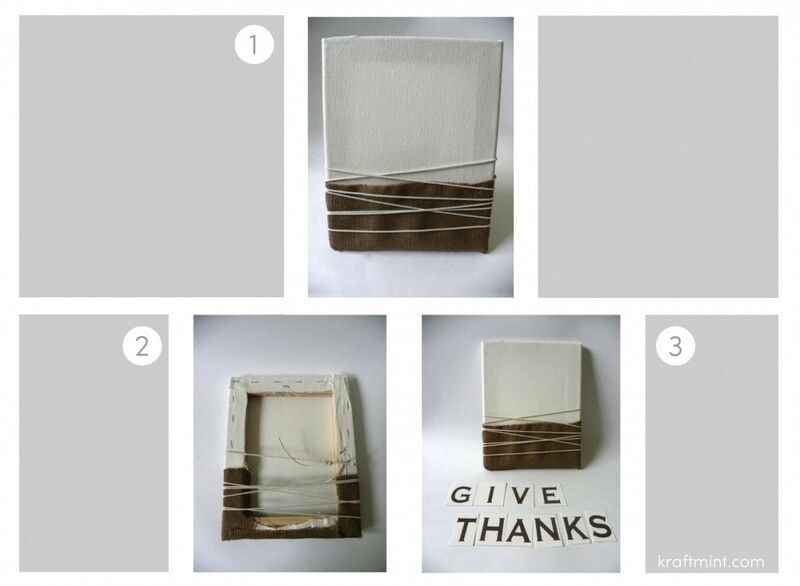 I’m SO excited to share with you a new craft I put together for Thanksgiving! 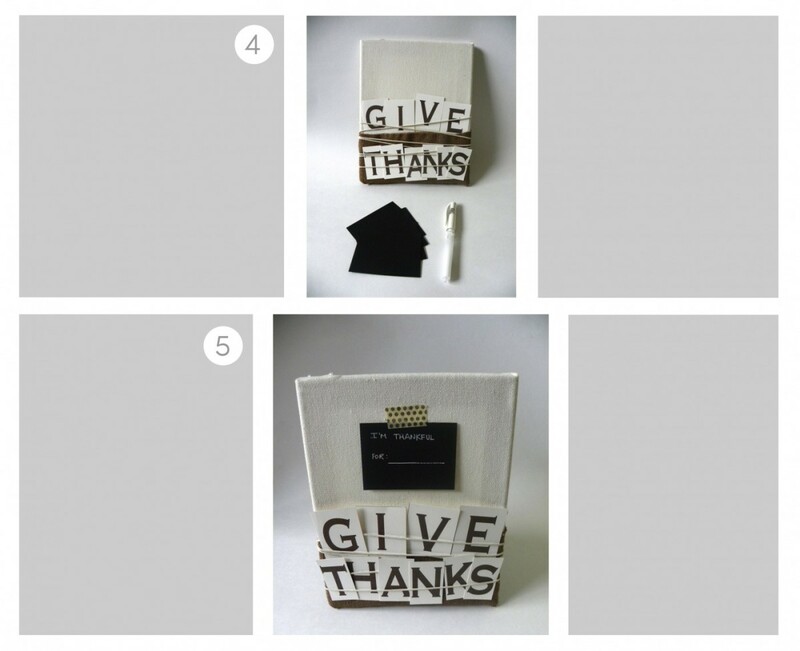 All the materials were generously given to me by Craftistas and I’m super thankful ;) Please take a look below at a simple tutorial and materials. I’ve partnered with an awesome group of ladies called “Craftistas” and they have put all the materials together for you! You can buy them all or just a few depending on what materials you already have. When you click the button “Get the Materials!” it will take you to Craftitstas website. 1: You will begin with the stretch canvas and chocolate burlap and “color block” approximately a third (vertically) of the stretched canvas. The portion you will cover will be 4″ inches tall. I used crafting glue to attach the burlap to the canvas. This is a view of what the board looks on the back. You can see how I folded the burlap around the stretched canvas. You will use the white hemp cord and wrap it around the canvas a few times. For my craft I measured a total length of 144″ inches long. You can try how much you want to wrap around the canvas to create the “lines effect” I did for my board. At the bottom of picture “3” I have all the letters cut and ready to spell the words “Give Thanks”. 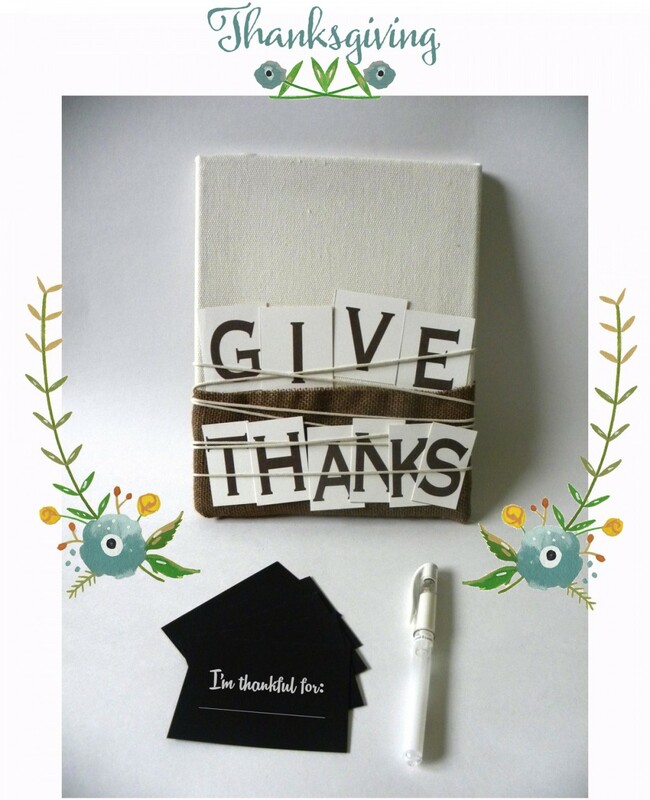 Finally, write what you are thankful for on a small note and use paper tape to stick it to the board. I hope you have a wonderful thanksgiving with family and friends! This craft took me about 2 hours ;) As always I love hearing from you and your comments make my day! Credits: Flower and garland illustration by The Ink Nest. Oh great! Will link up today ;) thank you! Cute idea for a thanksgiving gathering with friends! Nicely done! I like that you can change it up with different sayings. Thank you for sharing it and you cute lighted star at What We Accomplished Wednesdays.